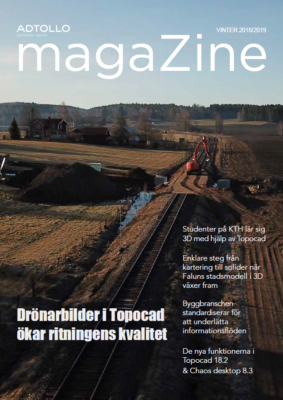 Topocad module for civil plan work has features for creating intelligent objects through compound commands, functions to assign properties to surfaces according to Swedish standards of Boverket and user-defined properties. Also, the module has a smart function to create explanations in the drawing sheet. Topocad uses the macro function to create the used objects directly, such as property borders. Information specified by the command are layers, colors, line types and line widths, symbols, attributes and codes. The civil plan properties are specified directly on the objects according to the Swedish standard, or according to your own self-defined properties. The properties are then sorted and displayed automatically in the drawing sheet legend. There is functionality import an XML file with geometries and properties.